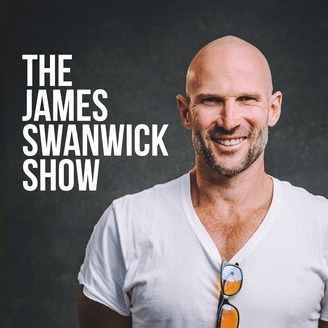 The James Swanwick Show teaches you the four pillars of living your best life, which are health, wealth, love, and happiness. Former SportsCenter anchor on ESPN, James Swanwick, brings you world-class mentors including millionaires, sexologists, relationship experts, retirement experts, financial planners, celebrity personal trainers, New York Times best-selling authors and nutritionists. www.jamesswanwick.com. Life is all about transitions. Things come and go, and nothing lasts forever. Sometimes we need to shift our focus to new things. This podcast is no different, and so it’s time to say goodbye for now. This show has been a journey filled with a lot of lessons, wonderful reflections, and capturing amazing moments in time. As my schedule has become busier and my business has begun to take off, I’ve decided to shift my focus - for a little while. I’ll be taking a break from the podcast and see how it goes. Perhaps it’ll come back in a few months, maybe it’ll be an entirely new show, or maybe this phase of life is over. No matter what I want you to know that I appreciate your support as a listener, and I encourage you to stay in touch with me. Whether it’s through social media, a meeting in person, or an e-mail every now and then to say hi I’d love to hear from you. On my final episode (for now) I reflect on what I’ve been learning lately. Not just in business, but also in life and personal relationships. I’ve grown a lot over the last few months and spent the time to reflect on what things have been holding me back for years. I have a feeling you will relate, and hopefully improve yourself as well. 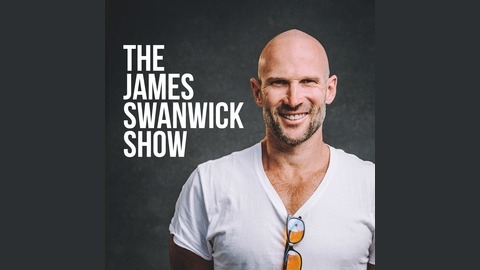 Download this episode of the James Swanwick show today to hear all about how you, too, can start taking action today to improve all areas of your life. Swannie Sleep has grown massively and has meant James needs to spend more time on research. It’s time to switch to working on entrepreneurship and relationships. James just completed a landmark seminar, to help identify landmarks in his life. Humans assign meanings and stories around what’s happened in life. There is no good, there is no bad - things just happen. Recently James has realized that he’s been suffering from masculinity problems from stories he has created and his relationships has suffered. Take ownership, responsibility, and admit to yourself when problems come from you. We all tell ourselves lies on a daily basis - be a person of your word. Sometimes you really need to have those awkward conversations. A simple phone call can lead to the closure you need. Don’t be afraid to get professional help to identify areas in life you can grow in. Sometimes you need to pay for something in order to take action. It doesn’t matter what you know, it’s what you do. Life is ALL about action.